Perfect for those of you who like a little geek with your chic (or is that the other way around? 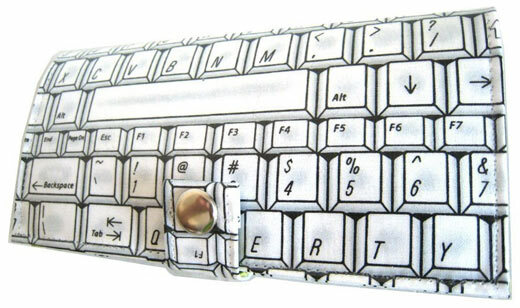 ), this quirky QWERTY keyboard design wallet helps you keep all your personal items in order. 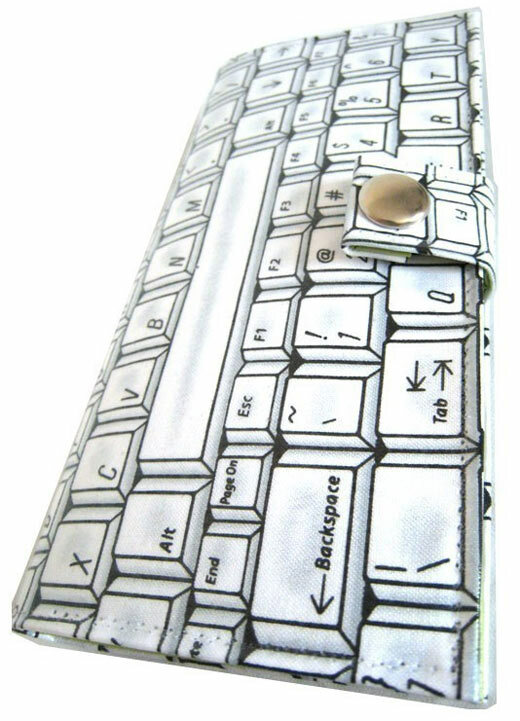 Designed by California indie crafter QuietDoing, the QWERTY pocketbook [$44] is covered with a bold black and white keyboard fabric, coated in clear vinyl (for added durability), and lined with a lime-green and navy-blue vinyl interior. Guys, don’t despair. The QWERTY wallet isn’t just for the ladies. There’s also a bi-fold men’s version available too [$28]. 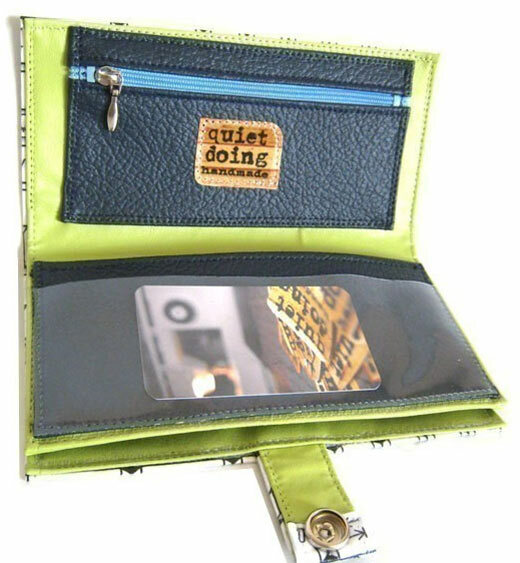 You can find QWERTY wallets and plenty other clever accessories (I especially like this funky turntablist wallet) over in QuietDoing’s Etsy shop.